Asia’s premier boat and yacht exhibition, the Singapore Yacht Show (SYS), is ready to introduce 20 superyachts among a lineup of more than 80 yachts to the Asian market and showcase the latest trends from the yachting lifestyle. 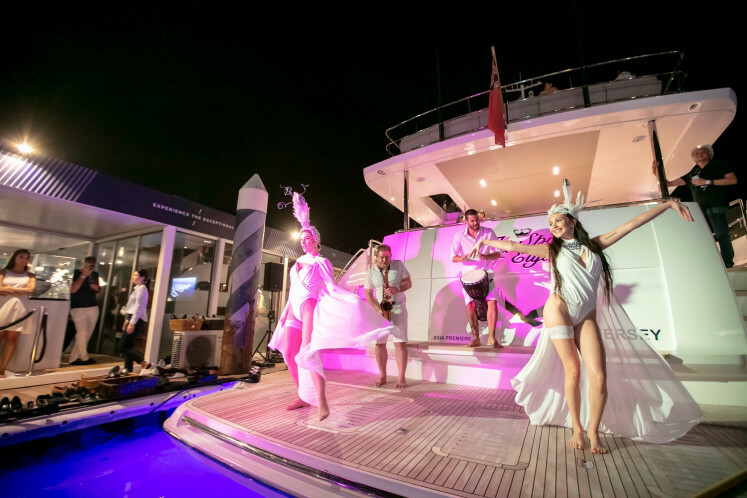 The ninth edition of SYS will kick off on April 10 with the Singapore Yacht Show Gala & Asia Boating Awards 2019, held at Singapore’s Capitol Theatre with the theme of “art deco elegance”. The show will run in full force from April 11 to 14 at ONE°15 Marina Sentosa Cove, featuring the latest offerings from some of the world’s leading superyacht builders and dealerships, including Simpson Marine, Princess Yachts and Ferretti Group. Among the 20 superyachts that will drop their anchors at the show are Simpson Marine’s flagship superyacht Sanlorenzo SD126, Ferretti Yachts 920 maxi flybridge and the Azimut Grande 25Metri. Visitors will be able to see the yachts on display, along with making purchases or chartering a yacht as well as building a network with other yacht owners. 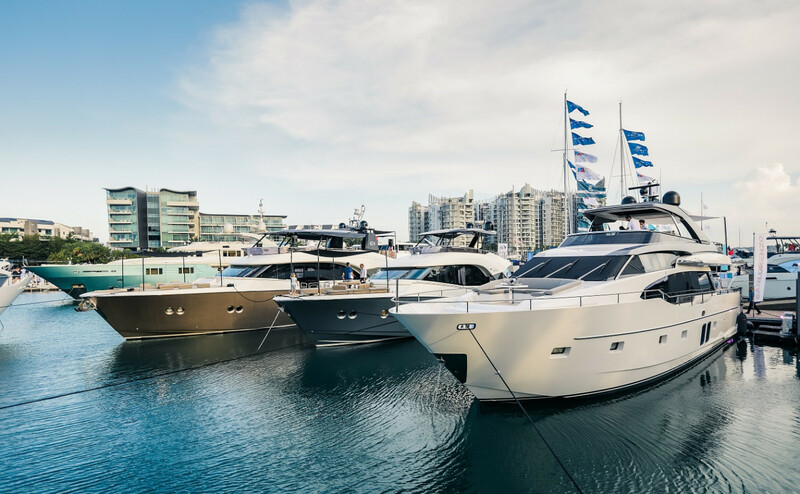 “The fact that so many world-leading boating brands have once again chosen the Singapore Yacht Show 2019 as the platform from which to launch their latest models into the Asian market is extremely gratifying,” says Andy Treadwell, CEO ofVerventia Pte Ltd, which organized the show. Visitors can also enjoy the live demonstrations and exhibitions of a selection of thrilling water toys, including the Flyboard water jet pack and the Waydoo electric hydrofoil. Alongside the product debuts, SYS 2019 will also host nearly 60 social events, ranging from art soirées and gala dinners to workshops and forums. For those looking for more than just the nautical lifestyle, you may want to check out the exhibition space that offers fine jewelry, real estate, arts and fashion. Also a highlight for the gearheads is the supercar parade, done in collaboration with Singapore’s leading car clubs. Rolls-Royce, in partnership with Sanlorenzo Asia, will bring the Cullinan SUV, dubbed the world’s first super luxury all-terrain SUV. Lamborghini and Ferrari owners will have separate meetups at SYS. The show will have a dedicated area for food and drink, and there will also be live music to keep the afternoon going. London-based soulful roaming quartet Roameo is slated to make its Singapore debut at SYS 2019. Roameo, known for its mash-ups of popular songs, will be on the move during the event where they will interact with the guests by serenading them. This year’s Singapore Yacht Show turns its attention to the preservation of the Asian elephant with the Elephant Parade, an open-air exhibition featuring painted elephant sculptures, painting workshops and a children’s painting competition. Visitors can purchase their own figurines to paint as well as some other products, with 20 percent of the net profits from the sale going toward elephant conservation and welfare projects.